OMG! Once again, I just had the strongest urge to leave the city for a while to go and run along the green foothills of the Sierra Madre mountain range and experience a new breath of fresh air and stuff. I just want to run up to those trees with bright green and yellow leaves and give them a high five for hangin' in there! I know I don't have the Kenyan legs but I always wish to run with the Kenyans (though I'm always left wondering "where did they go??"). Also, I'm not a triathlete (yet! Ha-freaking-Ha I wish!) but I'm a tree-athlete and I really want to join some sort of a tree-athlon and have a different experience of doing something not just for myself but also for the environment! One for T.R.E.E.S. 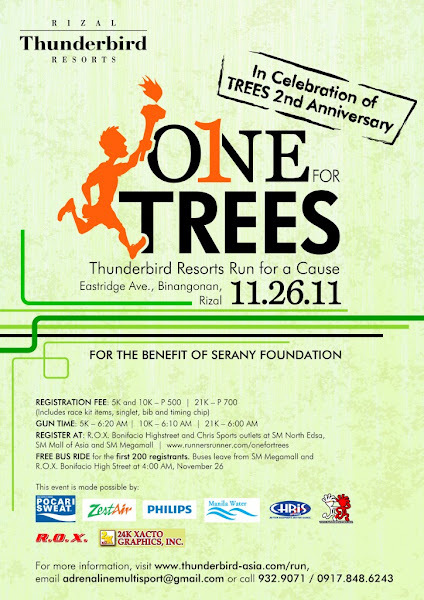 (Thunderbird Resorts Efforts on Environment Sustainability), is a run for Mother Nature and the second run for a cause to be held at Thunderbird Resorts-Rizal on November 26, 2011. I joined their first run for a cause last year and that was quite a peaceful run, nice and quiet. Here's my post from last year. For a change, I was glad to run on a wide, paved rolling hills surrounded by trees. Oh and unlike the other races I've joined, there were no traffic lights, no bystanders (yes, those are the peeps standing or sitting on the curb and clap as you go by) and no motorists passing, so I didn't have to worry about how tempting I looked to them. All you could hear were the rustle of the trees in the wind and a few runners' heavy breathing, gasping for air and frantically trying to overcome the uphills. A great, well- organised race. Amazing scenery and stunning view as pay off for the challenging uphills. Lovely weather was also a bonus. It was a great course with a challenging experience of running up and down the hills! If those hills have a name, it's prolly the "pretty tough and challenging hills"! Oh and did I say it was challenging? lol Well, it was really a challenge for a flat course runner like me but it really felt good to finish the race! The difference though of this year's run is that a 21k category was added which is even more challenging. Ok I just abused and overused that word today. Sorry! :D But if you're up for the challenge, then go! :) (There goes another one.. hihihi ) And don't worry about the hills. It's just a hill. Get up and get over it! I bet we can even go up and down for hours. (Yeah right!) We just have to keep running. Just keep breathing. :) That's the key. Anyhoo, the run will be the culminating activity of a month-long program celebrating the second anniversary of T.R.E.E.S. (Thunderbird Resorts Efforts on Environment Sustainability), Thunderbird Resorts’ corporate social responsibility program. 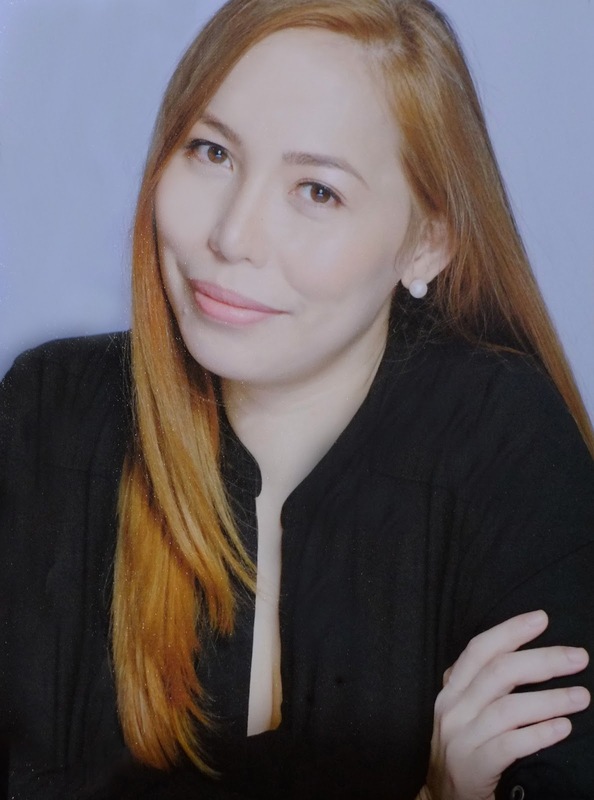 Proceeds from the run will benefit the Serany Foundation and the various projects of the Rizal Provincial Government. It's really not common for us to see runners running outside the city streets unless they are thieves, NPA's or someone who's running away from his debts. 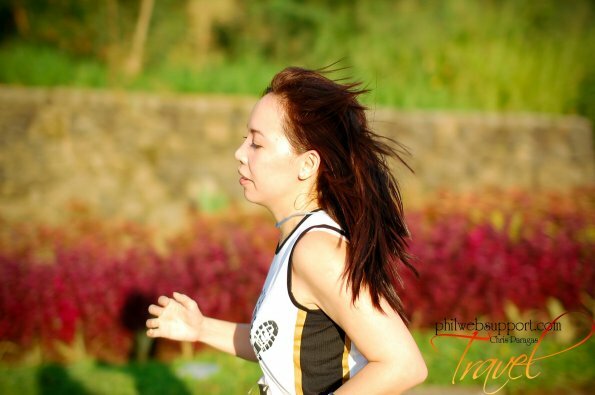 One For TREES provides a departure from the regular race settings within Metro Manila, with the route’s scenic landscapes and refreshing views, it is not the typical run venue that most runners participate in. And that, my friends, makes it an extraordinary run! They also have a free shuttle service. Pick up points will be at SM Megamall and R.O.X. Bonifacio High Street. 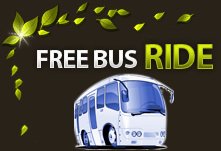 Free shuttle service will be available too the first 200 registrants. Buses depart at 4:00 am. There will also be return trips to SM Megamall and Bonifacio High Street after the run. Racekits (race bib, race map and timing chip) will be available to registrants starting October 24. 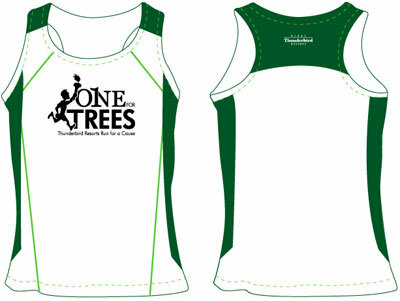 Singlets will be available by the first week of November. 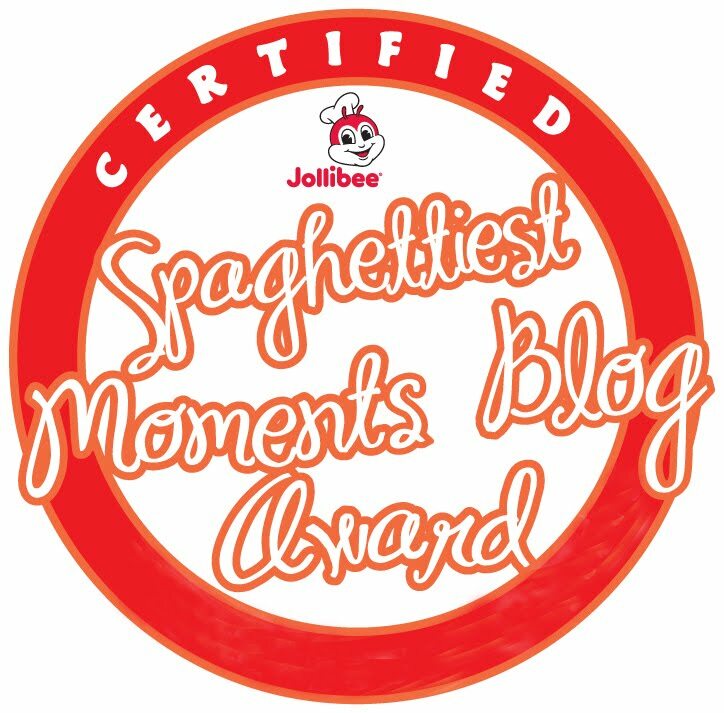 Kindly visit their website HERE for updates on the exact date of availability. Medals will be given to all finishers of the 21K. 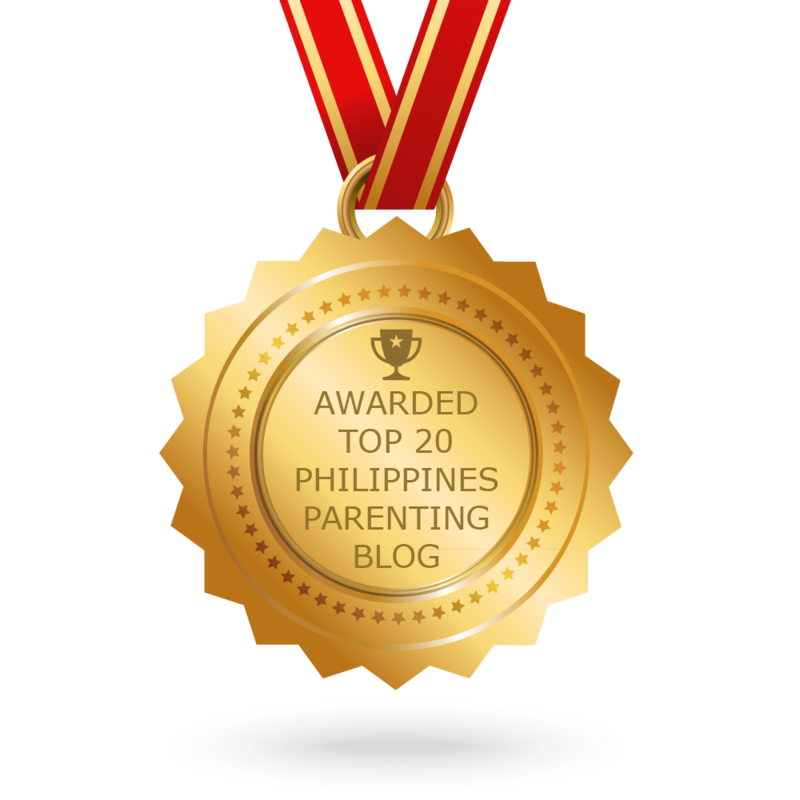 All 1st place finishers in all categories will receive gift packs from Philips and not 1, not 2 and definitely not 3 but FOUR (4) ZestAir roundtrip tickets to any local destination will be raffled off to participants. - A Runner's Circle Roxas Blvd. So what the bleep are you waiting for? Register now! Get out for a run & enjoy! Remember, my dear, life is incredibly short... but running for a great cause makes it waaaay longer.